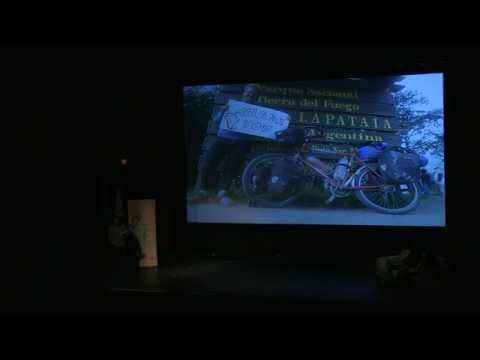 In 2010 Simon bought a bike, a plane ticket and a couple of maps and headed off to South America with a vague plan to start in Quito, Ecuador, and cycle South until he ran out of continent. He had booked a five day intensive Spanish course, had read the adventure cycling handbook and figured that it was now or never. Sounds easy? He had been talking about it for years. Procrastinating but ultimately always backing down. So what stopped him? THE FEAR… Often, the fear is so strong that we become preoccupied with what might happen rather than what is happening and nine times out of ten it’s not nearly as bad as you thought. Friends had warned him about banditos, career suicide and being poorer than he already was, but as soon as he had been hit by a taxis, beaten up and most of his gear stolen… it wasn’t so bad. In fact, it made his trip better.